Intertops is a reputable name in the casino industry. In fact, it is a brand that dates back to 1983, and it has been offering online gambling services since 1996. With so many years of experience, it’s no wonder why this casino has earned the trust of numerous gamblers from different parts of the world. As you can imagine, throughout all these years, the casino introduced various innovations, with the latest one being adding Bitcoin to their payment methods. Yes, the legendary Intertops has joined the ranks of the best Bitcoin casinos. So, check out our Intertops casino review, if you wish to find out how far the brand has come, and learn everything there is to their features. Enjoy! Intertops is the home of two casino platforms, Classic and Red. Although they are separate from each other, the only difference is in the games. There’s also a rich sportsbook and poker room. Here is a quick Intertops Casino Classic review. 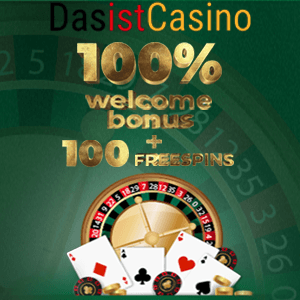 As its name implies, this platform is here for the people who still enjoy the classic casino experience. It has traditional slots, blackjack, video poker, table, roulette, and specialty games. The games feature old-fashioned graphics and performance that will take you back to the good old times of gambling. On the other hand, Intertops Casino Red is made to provide the best casino experience for modern gamblers. It has 3D games with high-quality animations and visuals. In addition to the outstanding slots, blackjack, roulette, and video poker games, they offer a simple game of Keno. Additionally, you can explore and enjoy the exciting Caribbean Hold’em and Stud Intertops poker. This part of our Intertops review will focus on their lengthy list of bonuses and promotions. Because they have two platforms, they have double the amount of offers. However, the bonuses are not that different. In fact, most promos are nearly identical; differing only in the games they apply to. After you register and make your first Intertops Casino login on either the Classic or Red, you can claim the 100% welcome bonus up to $100. All you need to do is enter the bonus code “SIGNUP100” and deposit a minimum of $20. And that’s it; your bonus will be instantly credited to your account. Additionally, every time you play any of their games, you will earn Intertops comp points. Naturally, the more you play, the more comp points you will receive. As with any other loyalty program, you can convert these points into cash, prizes, spins, and so on. Besides the welcome offer and loyalty program, players can find promotions like Mobile Award, $30,000 Wheel of Fortune, Rookie Raise, and so on. Additionally, each month the casino highlights one game and names it Slot of the Month. During this time, you can earn incredible rewards while playing that slot, including Intertops casino free spins. Despite promoting two different platforms and having separate game libraries, these two are quite similar. Both casinos have an instant play mode and a dedicated casino client, which you can download on the official Intertops website. Regardless of what mode you decide to go for, you’ll have fantastic gambling time since they perform flawlessly anyway. Furthermore, Intertops mobile casino is available for Windows, iOS, and Android devices. It enables a carefree and pleasurable casino experience on all screen sizes. To use it you don’t have to download an app, just open it from your browser. Intertops allows deposits using many methods, including Visa, MasterCard, American Express, Neteller, Skrill, ecoPayz, Bank Wire Transfer, paysafecard, Money Global, as well as cryptocurrencies such as Bitcoin, Bitcoin Cash, and Litecoin. Moreover, the Intertops payout review and transaction processing starts within 48 hours after you make a request. For any complaint, difficulty, or any kind of question you might have, you should contact casino’s customer support agents. You can reach them via live chat, email, Skype, as well as call Intertops phone number. All channels will promptly respond to your inquiry and provide an in-depth answer. Additionally, all players from countries where online gambling is regulated are welcome to try any of their games. Also, good news for all of the Intertops US players is that this casino continues to be accessible to them as well. Intertops is more than a casino. It is a complete platform that offers all kinds of gambling fun. In this Intertops Casino review, we explored a big part of what the team has been working on throughout the years. As you can tell, the result of the hard work is more than visible. Even after all these years in the business, Intertops still manages to be a fresh and modern platform. And the best part? You can access both Intertops Casino Classic and Red from one account.